Apples are a staple of the fall season. Apple cider and apple picking blend with pumpkin patches and leaf peeping during this transitory season. At the Red Apple in Murphys, CA, you can celebrate fall while tasting some of the most delicious apple-based pastries you’ve ever had. You won’t want to miss this bakery that leaves visitors raving! 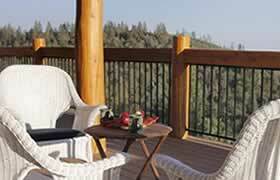 To discover other gems in Murphys, CA, download our free Vacation Guide! It’s filled with recommendations for all the best local attractions, from restaurants to wineries to various kinds of entertainment. Just a few miles outside the charming town of Murphys, CA, you will find an unassuming bakery and produce stand that has won the hearts of locals and travelers alike. It’s been featured on California Dream Eater, and people drive miles just to pick up a signature pie. The family-owned and operated Red Apple is the oldest roadside apple stand in the state of California—it has been in operation since 1890. Over the years, recipes have been perfected and passed down, resulting in incredible pies, pastries, ciders, and more. Even their apples have history—many of the varieties they grow are heirloom and cannot be found in typical grocery stores. Their apples are grown in their orchard at Red Apple Ranch. 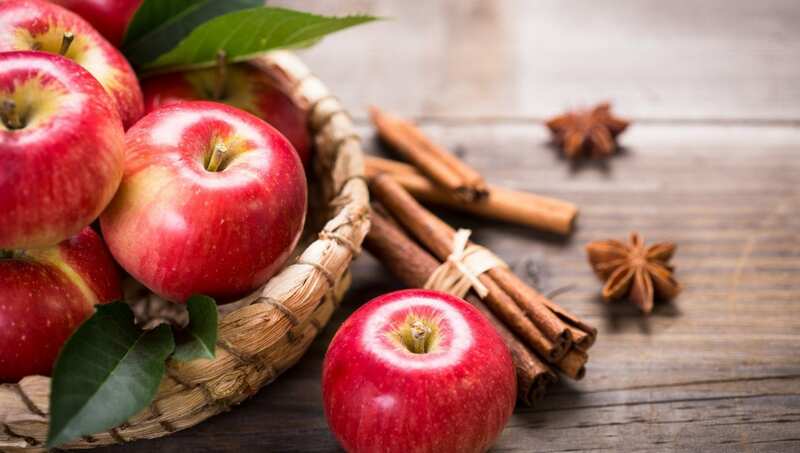 In addition to the traditional recipes in use at the Red Apple, another reason why the food is so delicious here is that everything is made from scratch using seasonal fruits, berries, and nuts. In addition to fresh-pressed apple cider, warm apple fritters, and fruit pies infused with a hint of vanilla, the Red Apple has homegrown produce and vegetables available for sale, in the fashion of a farmers market. They also offer local honey and syrups, jams, and jellies made from their fruit. Step foot inside the Red Apple bakery in Murphys the next time you are in Calaveras County and your mouth will water from the warm aromas of apples baking. Fall is a great time to explore the great outdoors in Murphys. Not only will you avoid the crowds, but the temperature is cooler, and gorgeous fall foliage adds a beautiful backdrop to your adventures. Two of the best ways to get outside is by going hiking or by visiting the spectacular nearby caves. 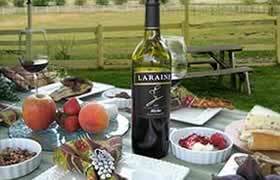 After your excursions, stop by a local winery or brewery to relax with a glass of wine or seasonal brew. There are also plenty of fall festivities for you attend. Visit a classic pumpkin patch at the Harvest Festival in Copperopolis, or participate in the Zip Line Pumpkin Smash for a fun, messy time. Other annual events that happen during the fall include the Calaveras Grape Stomp, Mountain Heirloom Quilt Faire at Ironstone Vineyards, and the Mark Twain Wild West Fest. On the spookier side of things, in late October there is a Downtown Murphys Witch Walk and ghost tours in historic Columbia. For a full list of events, visit the Calaveras Visitors Bureau’s website! Our beautiful lodge rests atop a hill that looks out over the San Joaquin Valley with the Sierra Nevada Mountains rising in the distance. Our tranquil lodgings offer an elegant place for you to unwind and recharge, whether in front of the fireplace in the Great Room or on a private balcony with a glass of wine. Aside from the spectacular views that our lodge enjoys, a feature that sets our inn apart is our tennis theme. There are tennis courts on site, and our interior is tastefully decorated with tennis-related items. Even our rooms follow this theme, with each named after major professional tennis competitions. An added bonus is that when the tournament is happening, the room named after it is offered at a discounted price! In the morning, you will be treated to a delicious gourmet breakfast, and there is a daily happy hour in the afternoon. Be sure to browse all our luxurious accommodations before you book your stay in Murphys, CA! Feel free to give us a call if you have any questions or need help finding our inn.